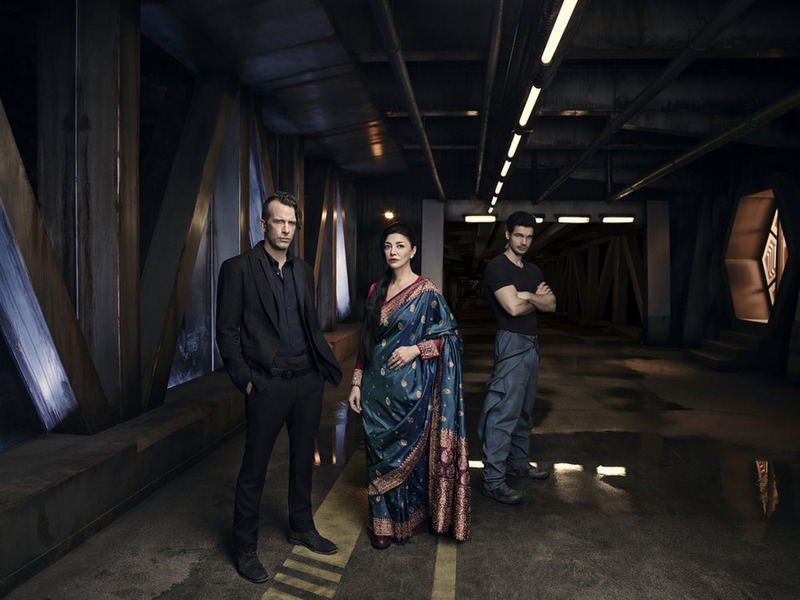 Syfy Gives The Expanse Prelinear, Multi-Platform Premiere! The Expanse’s first episode will be available on Monday, November 23rd, on Syfy On Demand, Syfy.com, the Syfy Now App, Hulu, Amazon, Google Play, Vudu, iTunes, Playstation, Xbox, Facebook and YouTube. The series’ linear premiere on Syfy will be a two-night event on Monday, December 14th and Tuesday, December 15th (10/9C). For further details, follow the jump. NEW YORK – November 3, 2015– Syfy’s highly-anticipated 10-hour series The Expanse will debut its first episode Monday, November 23 on a variety of VOD, TV Everywhere and digital platforms, three weeks ahead of its linear debut on the network. The series, from Alcon Television Group, premieres on Syfy with a two-night premiere Monday, December 14 and Tuesday, December 15 at 10PM ET/PT, and continues on Tuesdays at 10PM for the remainder of the season. Emmy® winner and Oscar nominee Shohreh Aghdashloo (House of Saddam, House of Sand and Fog) also stars as Chrisjen Avasarala. Rounding out the cast are Dominique Tipper (Vampire Academy), Cas Anvar (Olympus), Wes Chatham (The Hunger Games: Mockingjay) and Florence Faivre (The Following). Paulo Costanzo (Royal Pains), Chad Coleman (The Walking Dead) and Jay Hernandez (Suicide Squad) will appear as guest stars throughout the series’ first season. Previous PostBehind The Story with The Paley Center Returns with The Good Wife!Next PostConfessional Trailer: Applesauce!